We are a friendly group of local residents who meet regularly. 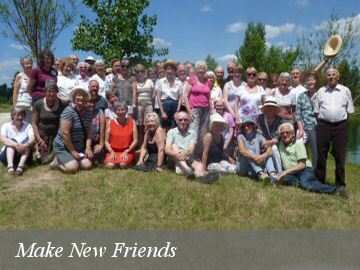 We participate in social events and exchange visits to Libourne in south west France. Our aim is to foster good relationships with our French neighbours and promote a greater cultural awareness - a real entente cordiale. Keynsham (population 16,000) is midway between Bristol and Bath, on the confluence of the Rivers Avon & Chew. It is about 2 hours by train from London. 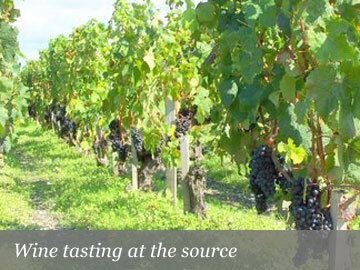 Libourne (population 22,500) on the River Dordogne is 38km from Bordeaux and is surrounded by miles of vineyards, the backbone of the economy. It has an ancient Town Hall & mediaeval centre with modern shops inside the old stone buildings but the suburbs are modern. Paris is about 3 hours away by TGV. 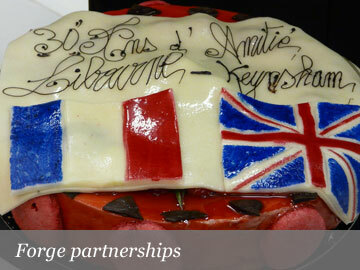 In 2017 Keynsham and Libourne celebrated 40 years since the two towns were first linked through a twinning charter. To commemorate the event Keynsham hosted the people from Libourne between June 30th and July 6th and everyone enjoyed an excellent celebratory week. 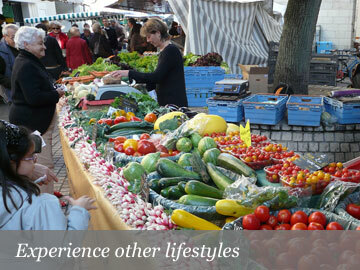 See the Exchanges Libourne-Keynsham section for full details. Where is Keynsham, UK ? Where is Libourne, France ?